The season started with Easter a wet and dreary affair but we braved the wet and headed for Shepards Wharf arriving in our allocated berthing spot for the long Easter weekend. For many this has always been the year’s shakedown event with the boats freshly polished and antifouled for the season. Those who went were hoping, like me, this was not the sign of things to come with a further 7 events planned. How wrong we all were. Our next Rally encompassed the first of the May bank holidays returning to Port Solent after a few years away. We departed in two groups of 10 to make life easier at the lock which protects the entrance to this unusual marina. Warm and cloudless skies greeted us all here, we basked in the sunshine, visited Portsmouth and I’m sure ate out in any number of the restaurants that line the marina at the far end. Once settled and enjoying the surroundings we had a well attended pontoon party kindly sponsored by the H2O Leisure Group, our thanks must go you to Nigel and Lucy for travelling up and putting on a wonderful party enjoyed by all whilst we enjoyed the sunshine, could we really be looking at a long hot season? Many a weekend passed and the weather seemed to get better and better, with our Rally West fast approaching I kept my fingers crossed. To my and others disgust the weather broke and I decided to delay our departure until the Monday, the fleet had diminished, many had decided to hop on a plane, unperturbed the remainder made our way on good seas to Portland for the night before stepping off to Torquay which we had decided to be our furthest port West due to the days lost. The trip across Lyme bay was oily flat and we had a visitation by porpoises playing with our wash (This can be seen on our Facebook page CQBHA Facebook ). Once again we sped up and off we pushed to Torquay. Unfortunately 19.2 NM from Torquay one of our boats developed an engine problem so we had a boat to shadow for the remainder of the trip for safety, what a trip it was, hot, flat and enjoyable, all be it longer with an extra four hours but that’s boating. 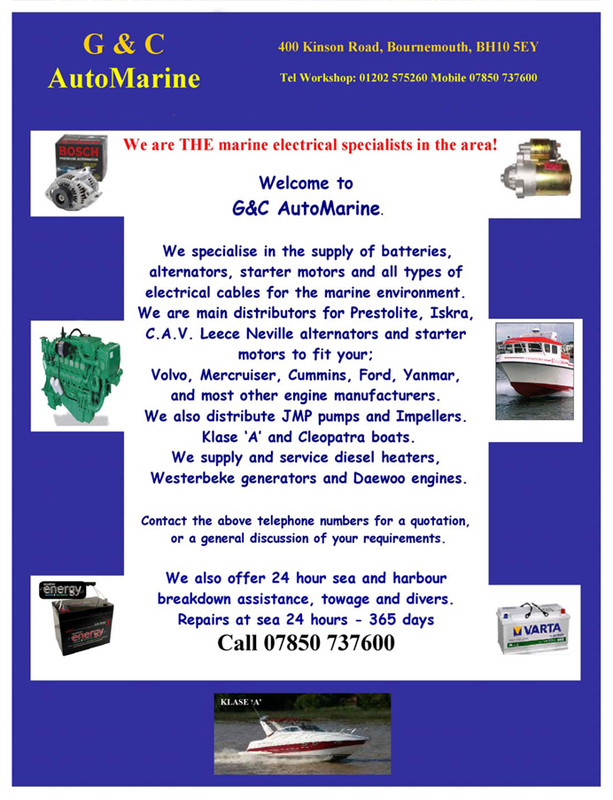 Once there we were greeted by the dock staff and helped into our moorings, it was great to have the assistance. Our time was well spent in Torquay. We had a group meal out and visited many of the local attractions, our one casualty limped to Dartmouth to be lifted out and the skipper bagged a lift on another boat home. Our days there were not cold, not hot but just right and the rain mostly stayed away during the day to fall over night. Our time up we made the decision to depart on the Saturday as the sea conditions were better. Once out of the marina we made our way East, sea mist greeted us with about ¾ mile to a mile of visibility, radar’s on and in a long line we made the journey across Lyme bay popping out of the mist at Swanage. This was great experience for all, but tiring due to the concentration required for such a long passage in mist. Port Hamble PartyMDL Port Hamble was the next venue and a change to the past events, as we made an evening passage using BST to the full taking 20 boats to the marina for a long weekend. 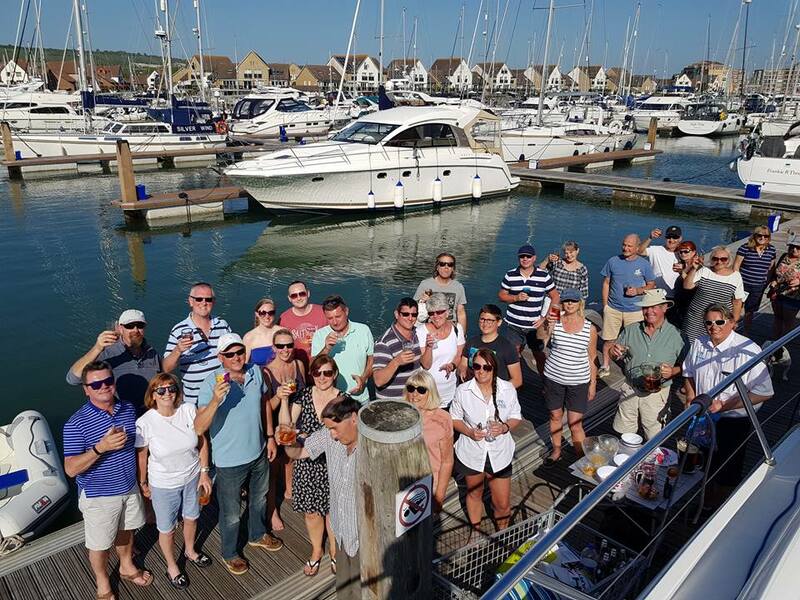 Bathed in sunshine for the whole time with light winds and good seas we had a great weekend, capped off by MDL Cobbs Quay supplying a pontoon party that was enjoyed by all whilst scorching in the sun. Our thanks to Dave Wilson and Hanne his wife for organising the food for this event for us. The weather was so good a few stayed up in the area before returning later in the week, it was now that maybe we all believed the Summer would deliver. With a local weekend trip to Portland Marina up next and good weather still on the horizon our fleet of 12 boats departed in good seas to a marina that many pass by. 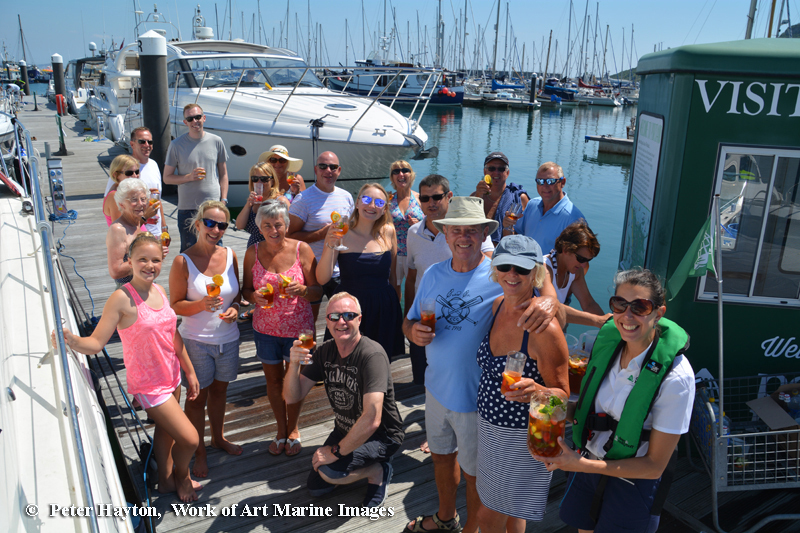 We all berthed according to the plan we had to work to and once we were in and settled the marina staff came down with Pimms for our pontoon party. This was a well-earned refreshment, after all it was a hot day and we’d been boating, what could have been better. Our overnight stay was over all to quickly and many of the boats left early to make use of the clear waters and anchorage in Mupe Bay, the remainder stayed and bathed in sunshine until our planned departure late in the afternoon, a sunny flat trip home, what a season so far! 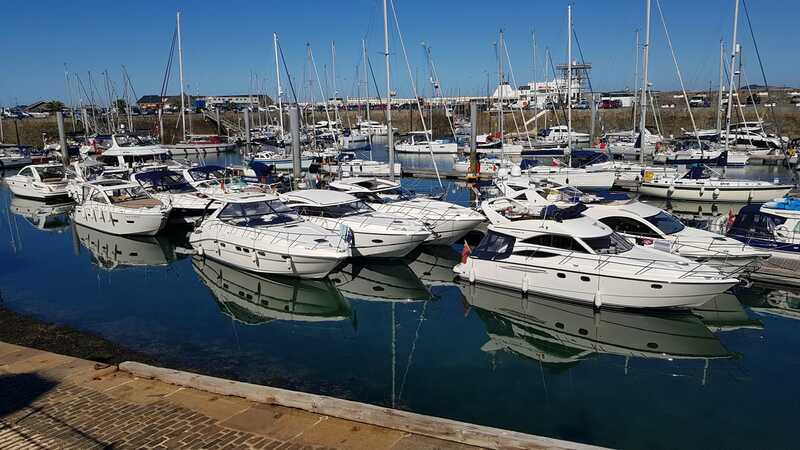 With only one cross Channel Event planned this year to encompass Jersey, St Quay Portrieux and Guernsey we were excited, could the weather deliver ? Well, Yes and No ! We made it over to Jersey, but there were some issues, we had three boats break down, this was just bad luck, inconvenient, time consuming and I’m sure very, very frustrating and annoying for all the owners, but we did all get back, maybe not as we had all hoped and eventually everyone will live to fight another day. Jersey proved to be the furthest we would venture as that weekend we encountered gale force winds delaying our departure, so yet again St Quay has still proved to be a port to far !! (One day). 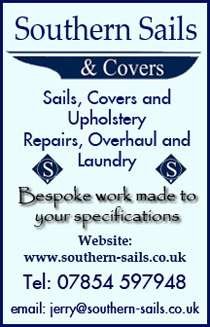 After a few days in St Helier we moved to Guernsey and St Peter Port back on schedule. Go Karting this year saw a new winner, all the old boys did not stand a chance, youth is always best (Its just a weight thing!). Well done “Nathan” we hope you can handle the pressure as favourite should we return soon. Our time up, we duly left on the tide back to Poole, the seas getting better as we pushed on up the Alderney Race. This was where our last breakdown happened but we made it back all be it with a far longer than expected crossing for some. So, back in Poole and an enjoyable time for most. 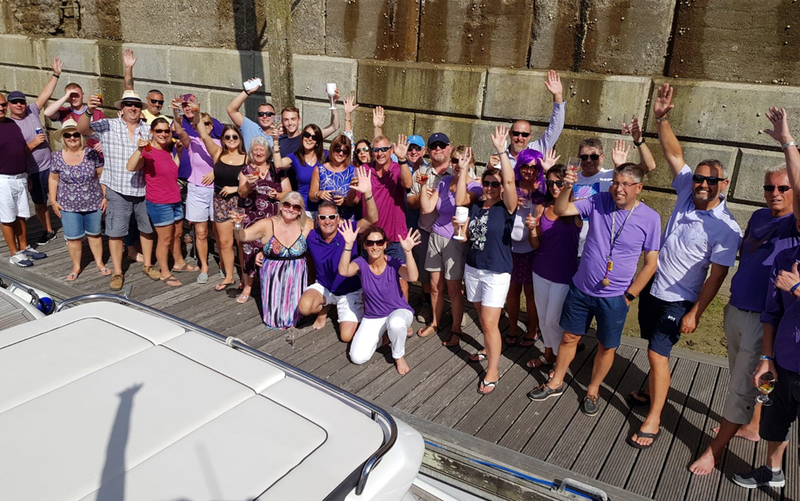 Our thanks for the company and wonderful pontoon party sponsored by Coast Yachts that took place in St Helier, we all looked wonderful in Purple !!! 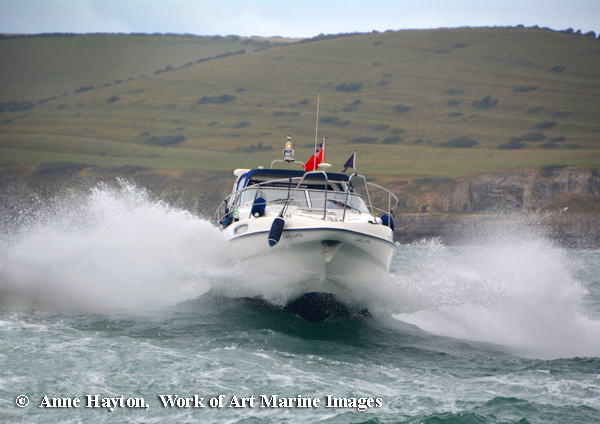 With weekend after weekend delivering great power boating seas and weather it was always going to break and we had a little blip, in our case it put paid to our cruise to Bembridge as the conditions were less than favourable, wet windy and Easterly seas. (Its not known as a beasterly Easterly for nothing). Traditionally our last event has always been to Weymouth taking the advantage of the last Bank Holiday weekend. As a local trip for most it is just over an hour but the weather was ‘challenging’ so we discussed the options at the skippers briefing. Most were a go, although we did leave with a depleted fleet. Our berthing plan in our minds we pushed on down to Weymouth, the bigger boats assisting where they could for the little ones, making it a little flatter past the headlands, as the priority at Weymouth is the bridge at that end of the trip, something we are used to but awkward on timings from our own bridge system. 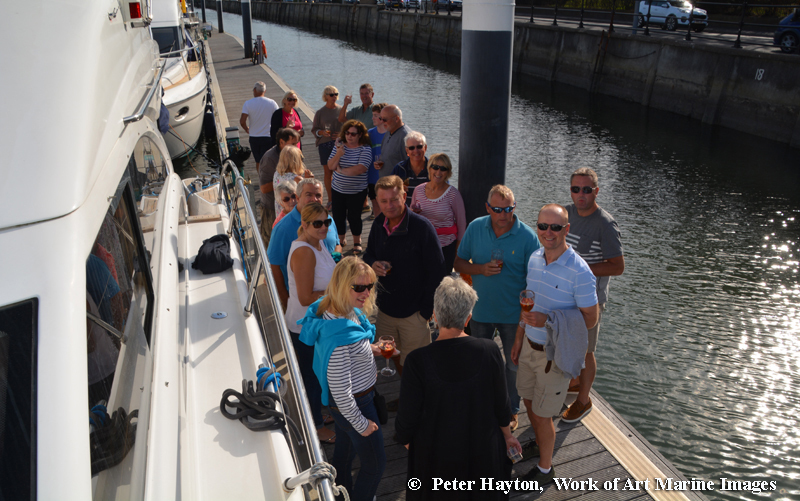 Saturday afternoon once our single yacht had arrived saw a pontoon party hosted by CQBHA, enjoyable and one of the great ways to get everyone together, thank you Sandra and Nick for putting it together it was another success. Sunday saw the predicted rain all day so other than a brave few most were chilling on their own boats marveling I suspect at the season we have had. Bank holiday Monday arrived and the fleet split, those that were able to stay did and those that could not returned in a following lumpy and challenging sea, surfing all the way back home to Poole all arriving safely. For those that remained Tuesday was fantastic and flat, proving that the sea is and can be so changeable so quickly. Thank you all for supporting the Association throughout this season, it has been a great year, with great weather and great company. We hope to see you all in the future.